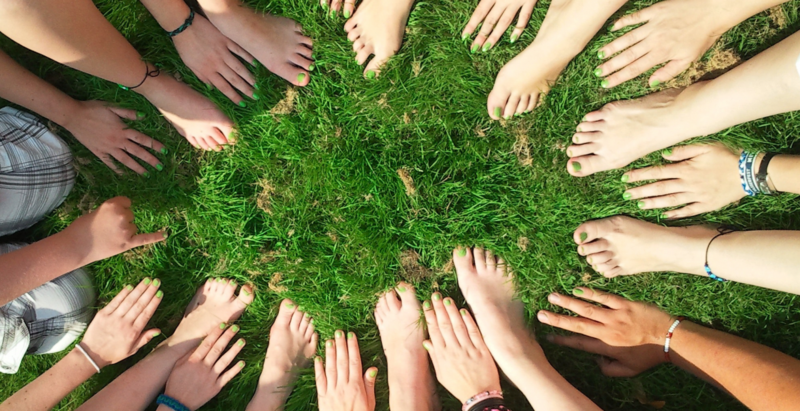 Green initiatives for companies are commonly viewed as a necessary additional cost to protect and sustain the environment. At Spare Parts 3D, we develop 3D printing as a green and socially responsible manufacturing technology that mutually benefits both the business and the environment. We believe that Corporate Social Responsibility (CSR) is crucial, that is the reason why we aim to create a sustainable business together with our clients through 3D printing innovations. The paramount problem within the spare parts industry lies in managing the inventory of spare parts. Many may still hold the mindset of holding on to spares in the event they might need it someday since it doesn’t appear to cost anything for storage. However, having a physical inventory incurs numerous costs of paying a premium for insurance which is calculated based on total inventory value as well as wages and utilities for maintenance. These administrative costs add up to approximately 20% more, resulting in an overall net loss if a spare is not consumed or sold quickly. And it is often the case: by experience, up to 30% of spare parts are disposed annually from lack of use and mounting warehousing costs. This problem stems from the unpredictability of breakdowns. This inability to accurately predict both when and what parts are needed, due to a lack of a possible seasonality or trend to be analysed, making it impossible for spare part handlers to optimize their inventories. With its 3D printing solution, SP3D provides the ideal solution by printing spare parts on demand, creating zero wastage in terms of both producing redundant spares and energy spent on warehousing. When fully adopted, 3D printing will turn physical inventories into digital ones, benefiting business owners and the environment alike. Optimizing the energy efficiency of home appliances is a well-known challenge towards tackling climate change often taken up by manufacturers. However, lengthening the lifetime of home appliances contributes towards the same goal but is not as strongly emphasized as energy efficiency. To lengthen one’s product lifetime, the key aspects involves a robust manufacturing process to produce quality parts as well as the ease of reparability. Home appliances should be repairable in most circumstances with the right parts and know-how. Attention has to be paid to reparability right from the design concept stage so that any repair can be simple with accessible parts and streamlined processes. 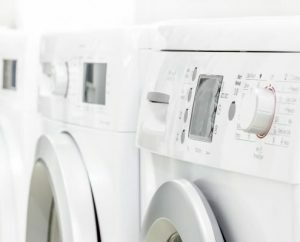 RREUSE, a European umbrella organization for social enterprises, pointed out that the primary obstacle to repairing home appliances is the first lack of access to spare parts and secondly cost of spare parts. Traditional plastic manufacturing processes, such as Injection Moulding, is very widely used worldwide but highly ineffective when it comes to producing small production batches. As such it is often uneconomical for plastic manufacturers to supply old and long tail spare parts for product after-sales service. Spare Parts 3D offers a viable solution to this issue as 3D printing is energy-efficient for small or even single-item batches, with no massive tooling needed. Obsolete parts can also be reverse engineered according to demand with no disparity in quality or functionality, providing a cheaper and greener solution in enhancing a product’s lifetime. At Spare Parts 3D we are able to use one specific 3D printing method known as Fused Deposition Modelling (FDM). It is a very energy-efficient method, easily competing with Injection Moulding, especially when it comes to low-volume production. The most significant advantage Spare Parts 3D provides is in reducing carbon footprint by radically cut the supply chain. One additional advantage of producing on-demand as mentioned earlier is in eliminating the need for remote warehouses. But the main differentiating factor is in transportation. The current Injection Moulding manufacturing model implies a fragmented supply chain made up of several centralized facilities, each one involving different aspects of producing, storing and distributing. Each of these stages, as illustrated below, consume fuel and produce waste. 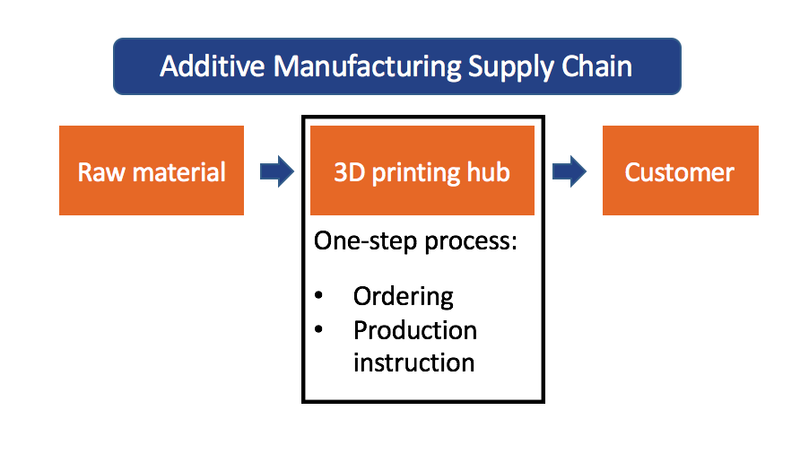 For us here at Spare Parts 3D, the process with a supply chain supported by Additive Manufacturing is strictly limited to the last mile delivery. Comparing the two models of supply chains, with the EcoLabel Index, the carbon footprint of a spare part produced through the Traditional Supply Chain amounts to approximately 138.22 tons of CO2 while the Additive Manufacturing Supply Chain amounts to 27.22 tons of CO2. This comes up to more than 5 times reduction in carbon footprint. With its global network of 60 qualified 3D printing partners, SP3D is able to ensure that production is done in the closest proximity to the end user. Furthermore, this manufacturing model also creates social benefits by boosting local employment and stimulating the local economy in the countries where we have implemented production. Spare Parts 3D offers a solution to simplify spare parts management at lower cost, and this solution has a positive impact on both the environment and our clients. We are proud to deliver services in a profitable, economical and sustainable manner, doing our part to create a greener tomorrow and a sustainable future.